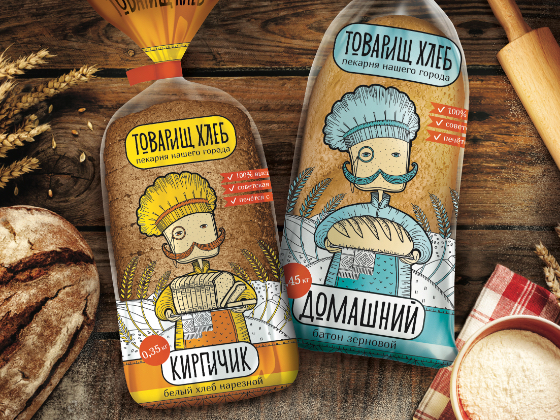 Branding agency Ural Branding Company has developed a conceptual design for bread packaging. 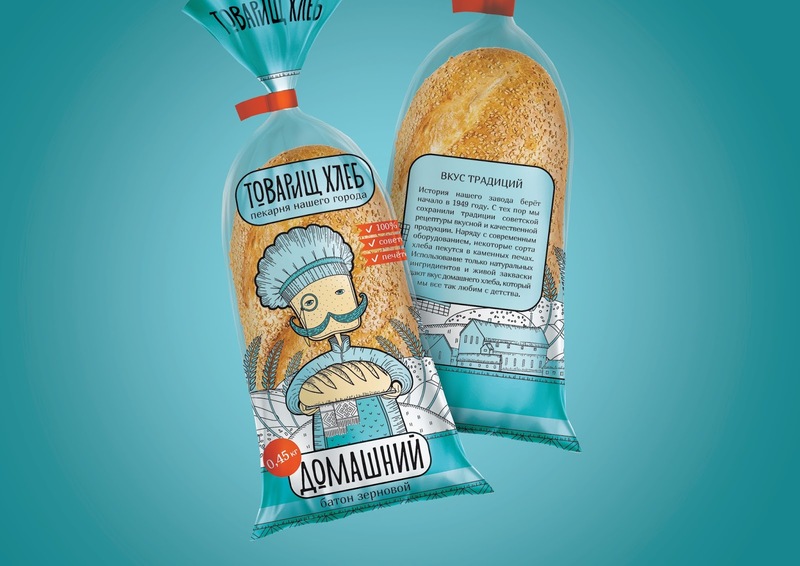 The main conceptual component is the character "Comrade Bread", its graphics referring us to the primordially Russian folk art "splint." 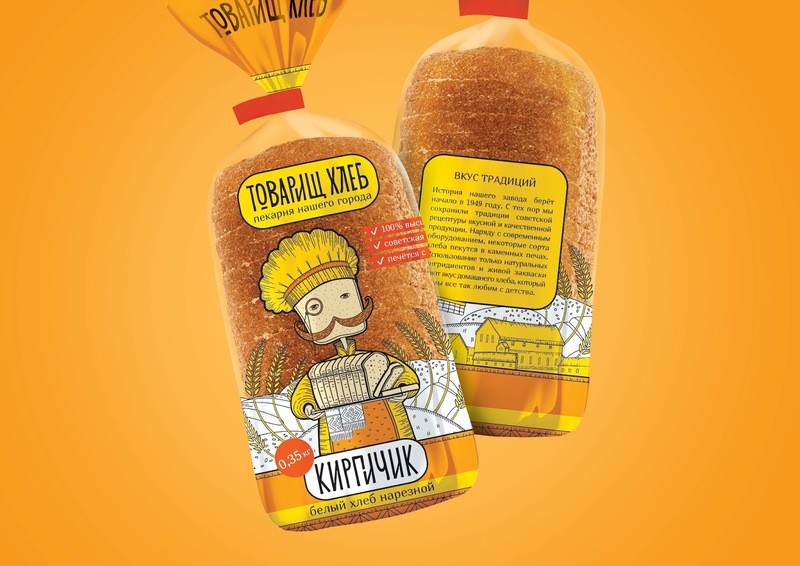 Holding the bread in his hands, the character welcomes us, according to Russian tradition, as dear and desired guests. 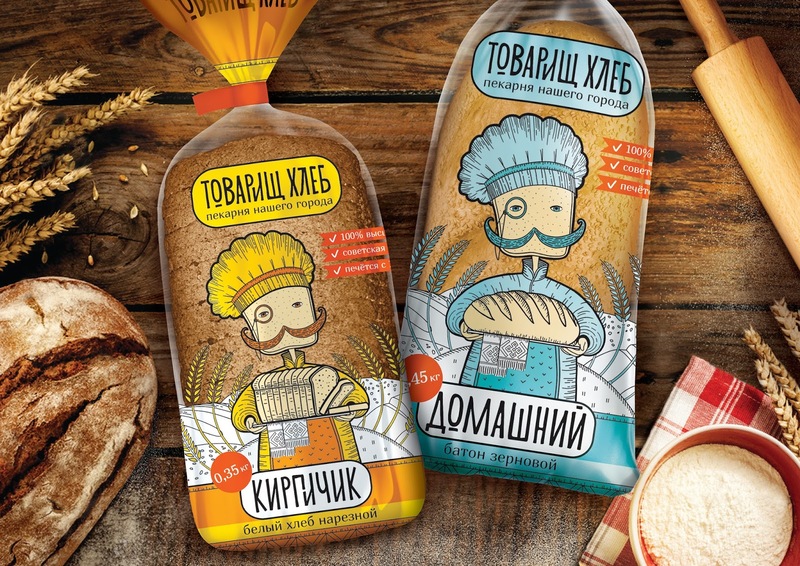 The character depicts fields in the form of different bread, emphasizing and emphasizing the product itself. 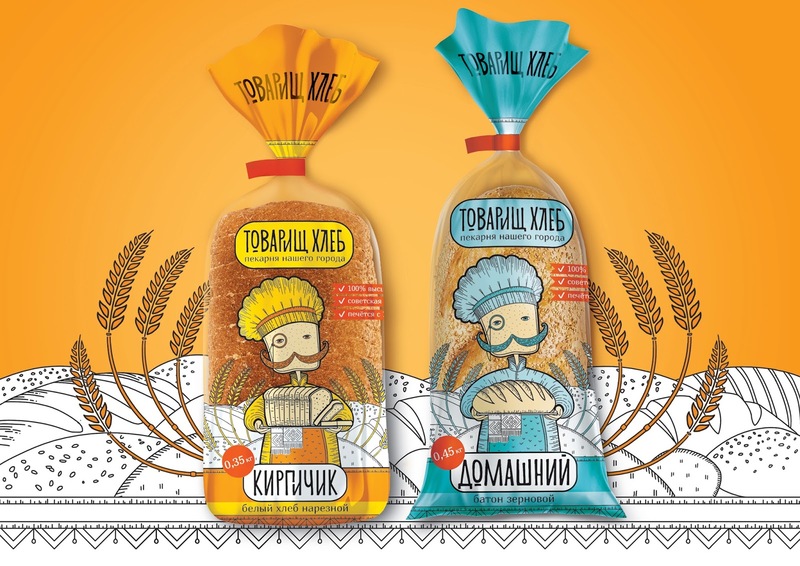 A bright charismatic character can attract the attention of youth, and the naming of "Comrade Bread", referring to Soviet times, can attract the older generation. 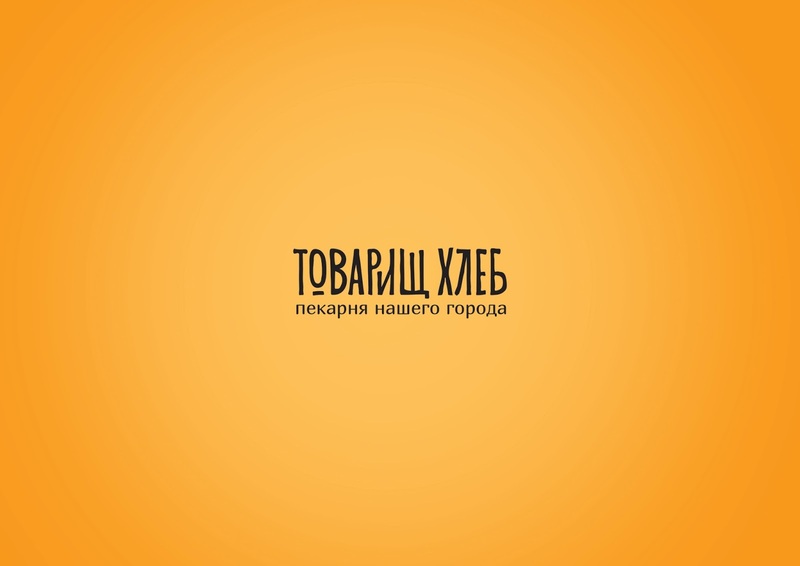 Thus, the agency specialists tried to attract as wide a range of target audience as possible.